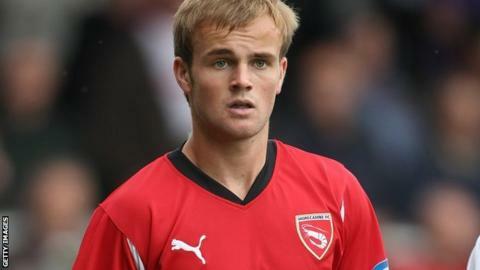 Barrow have signed defender Niall Cowperthwaite and midfielder Ted Cribley on non-contract terms. Sheffield-born Cribley, 23, returns to the UK after playing in America's National Collegiate system for Syracuse University in New York State. The pair become first signings as boss. Last season, Cowperthwaite played six times for Edmondson's former club Workington, and this term has turned out for Cumbrian minnows Kendal Town and Penrith. He follows in the footsteps of his father Colin, who is the club's record appearance maker and goalscorer, as well as being part of the 1990 FA Trophy winning side.